We are a highly motivated, experienced and enthusiastic team who advocate passionately the mental health benefits of the practice of Origami. Our team are based in the South around Oxford/London and up North in the Merseyside. Dr Lizzie Burns is a science-based artist and creative specialist, also a visiting academic in the Department of Physiology, Anatomy and Genetics, University of Oxford. Following a doctorate and research fellowship in cancer research at the University of Oxford, Lizzie has been working as a ‘science-based artist‘ since 2002 using artwork and workshops to explore the beauty and wonder of life. Commissions include the British Council, the Wellcome Trust, the Medical Research Council and the Royal College of Pathologists. She works regularly in hospitals, including University College Hospital (UCH) in London funded by the UCH Cancer Fund to engage and inspire adults during difficult times. She is the founder of the Anti-Boredom Campaign (ABC) and run creative sessions including using Origami over the past 10 years for adults in hospital. Lizzie learnt Origami after a patient wanted to teach her to pass it on. Zulay Newell is a chemical engineer from Venezuela. In 2004, she came to the UK to improve her English and met her husband in London; they now live in Southport with their daughter. Eight years ago, she was suffering with poor mental health. While she was in hospital she started to fold an Origami frog that she had learned with her brother when she was a child. The patients started to ask her to make jumping frogs for them, to which she replied ‘I will teach you how to make one’. In that instant, they all shared a moment of clarity, and her passion was reignited. She also developed a love for other crafts, later becoming a craft tutor. In 2015, with friends Helen and Kate, Zulay set up Mobile Craft 4U, a company in Sefton delivering craft workshops designed to improve wellbeing. Origami has always been her first passion, she is a member of the British Origami Society and she regularly teaches it to the vulnerable in the community. 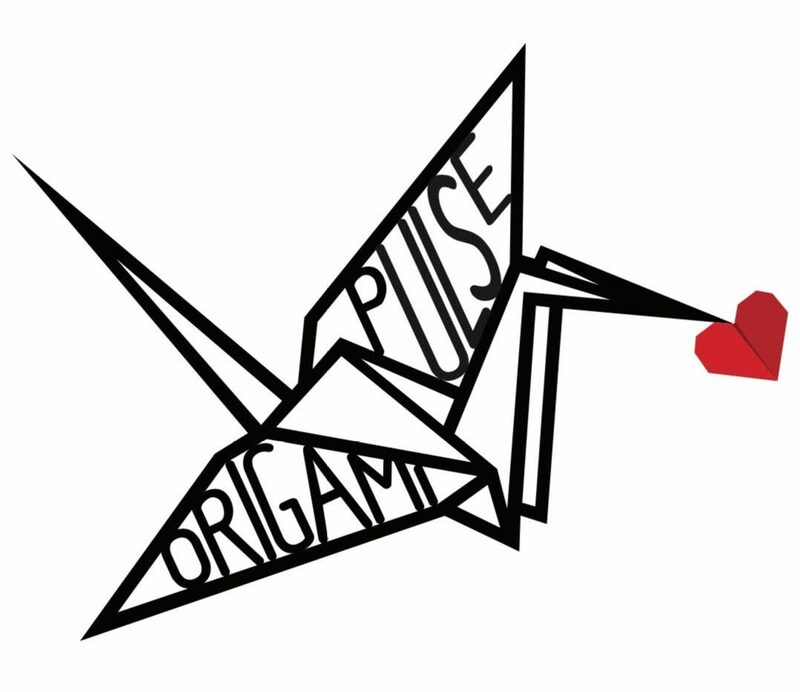 Angela Loveridge from Global Mobile Origami is an Award winning Origamist and a member of the British Origami Society. She started folding in 2002 whilst in recovery from mental health issues. With appearances on Radio 5 Live and at Radio 3’s Free Thinking Festival she has also worked for museums, schools, corporate entertainment events, Community Centres, Women’s Institutes, cruise companies, Summer Play Schemes and has been to Glastonsbury folding a Thousand Peace Cranes. She is currently running a series of weekly workshops at Tomorrow’s Women Wirral www.tomorrowswomen.org.uk in Birkenhead and The Open Door Project theopendoorcentre.org in Liscard Village both on Merseyside.